Our team of subject-matter experts will analyze the data and specifics collected during the previous stage to clarify the exact expectations of both the participants and the management of the organization. 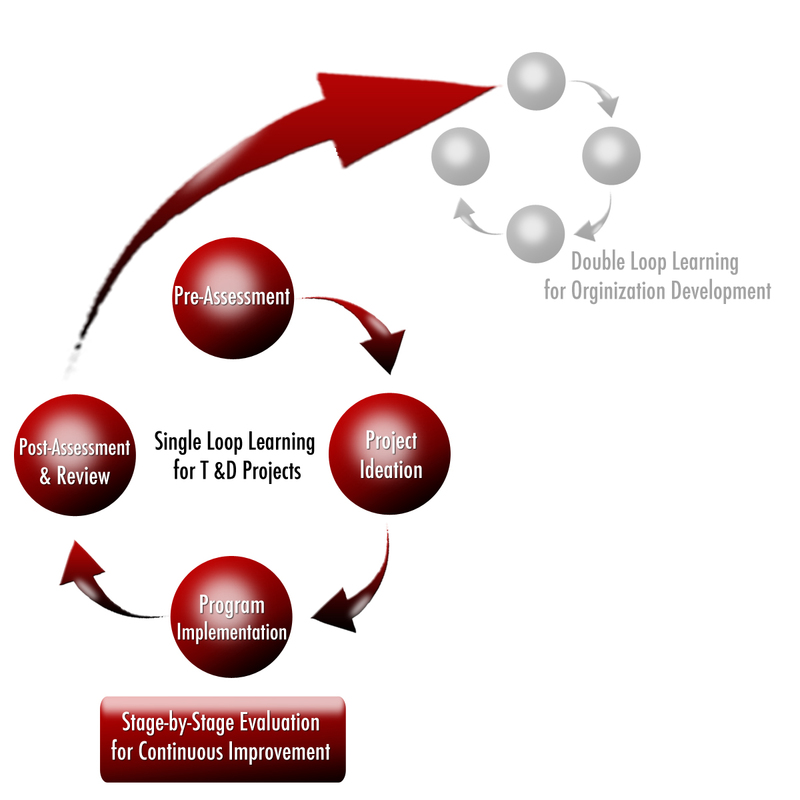 Once they are agreed upon, we leverage accelerated learning and development research from various fields such as neuroscience, education, psychology, and human-performance improvement to design a schematic “T&D Blueprint.” This blueprint will serve as a platform or guidepost to create course materials and activities for optimal learning intervention. While there are many academic books about brain-compatible learning, systems thinking, communication, organizational and cultural change, and multiple intelligences, this seminar has integrated them practically. “Learning Organization in 10 Steps” offers a clear, practical guide to mastering and directing the critical learning process for organizational growth and transformation. Senge's The Fifth Discipline provided the theory. This workshop provides the multipurpose guide and tools to turn every institution into a vital contributor for all of its stakeholders. Our teams of well-qualified and experienced trainers/facilitators strive to provide our clients with cutting-edge services and development solutions. In cases where psychometric tools or skill assessments are administered, the results (wherever applicable) will be shared with the individual participants. This helps learners gain insight on their starting point prior to training (for example, learning styles or knowledge proficiency). Compared to generalized feedback, individual reports are often more useful as people will be able to identify the specific areas where additional training and support are needed. Our standard is to employ innovation and diversity in our training methodology. Presentation/Direct-instruction sessions are designed to introduce concepts to the trainees in very short duration with appropriate audio visual aids and examples to illustrate the concepts being presented. These concepts are discussed with the team in the context of their industry, company/products, and jobs. A knowledge check (test) is conducted at the end of each module to test trainee comprehension of concepts. Case studies are documented problem/solution scenarios written specifically for the industry segment. Participants engage in small groups on these case studies and then make presentations to the entire audience. Role-play is used to practice practical application of concepts in a simulated situation. All pre-role-play and post-role-play is briefed and critiqued by the audience and the trainers for increased learning. Workbooks/Advanced organizers, when designed to be a student-centered aid for learners to co-construct the important key points of the training sessions, increase learning effectiveness. “Leap in to the real world” is a very special summary given by the learners at the end of each module. Trainees reflect on their learning and brief the class on ways to integrate various concepts on their day-to-day jobs. Often, they are expected to present their actual applications and outcomes at the next training session. This stage analyzes and reviews the training process to answer three major questions: 1)	Did the participants learn effectively during training? 2)	Did learners remember and put their training into use? 3)	What insights are gained from this experience that would change any underlying assumptions, alter goals, or enhance other aspects of the client organization? Our facilitation at this stage acts as a catalyst and accelerates the progress further, giving the participants and the organization long-term benefits that can be used to advance both their industry and their personal lives.